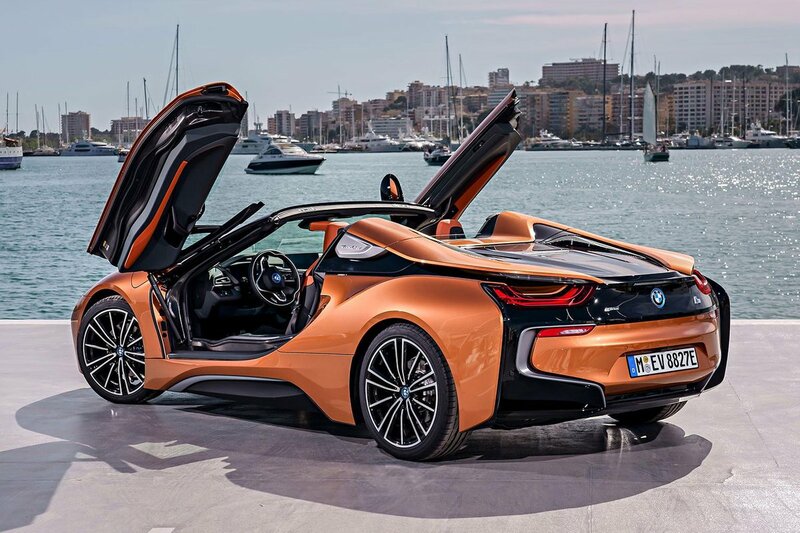 BMW i8 Roadster Boot Space, Size, Seats | What Car? 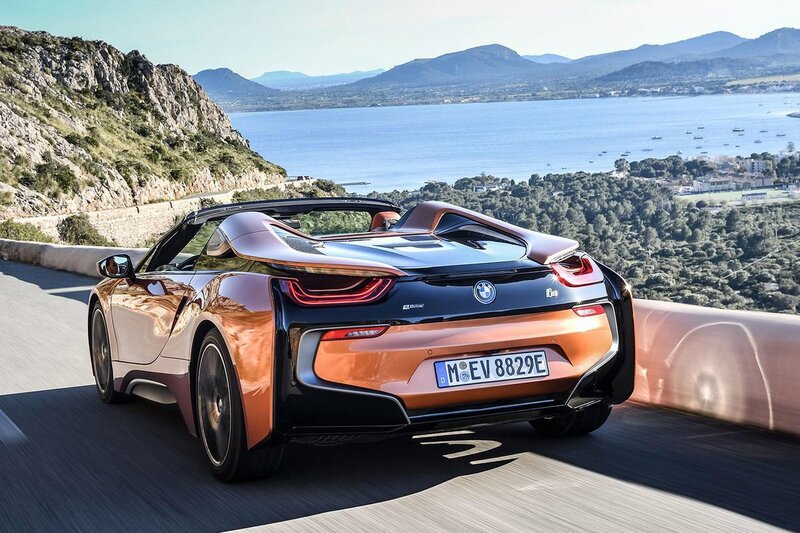 The i8 Coupé may technically be a four-seater, but the rear pews are only good for children or one of Snow White’s chums. With that in mind, you’re not losing a great deal with the soft-top model being a two-seater. In fact, you gain a handy shelf that’ll take a couple of squishy bags and even a leather-wrapped pocket for maps (although we’d stick to using sat-nav). You’ll certainly want to use that shelf if you’re planning a weekend away. 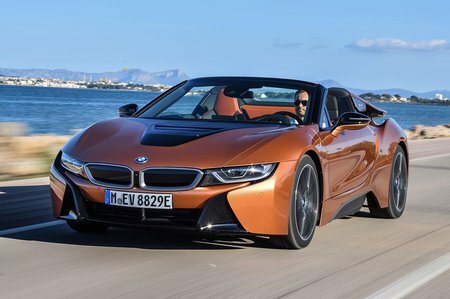 The i8 Roadster’s boot is significantly smaller than a Mazda MX-5’s, let alone the one in the Volkswagen Up. Thank the mid-mounted engine for that. At least you’ll find there’s plenty of room inside – even six-footers will find enough space to stretch out and it’s unlikely that you’ll feel your scalp brushing the canvas roof. Oddment storage is limited, although there’s a couple of cupholders and a cubby between the seats with wireless charging for compatible mobile devices.